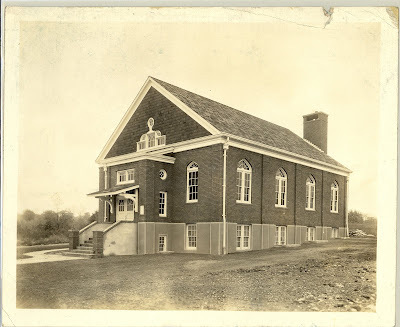 The Genealogy Club of Montgomery County, Indiana will meet on Tuesday, July 12 at 7 pm in the Donnelley Room of the Crawfordsville District Public Library. Charles Hill from the Indiana State Library will present a program, "An Indian Princess in your Family?". The meeting is free and open to the public. The Indiana State Library in Indianapolis will hold a program, "Legal Documents and Terms in Genealogy," on Thursday, July 21 from 5:30 to 6:30 pm in the library's History Reference Room. You'll learn about the legal terms and legal documents you may find in your genealogy research. This program is free and open to the public. The Indiana State Library in Indianapolis will hold a program, "But They Weren't From Indiana: Researching Mid-South Genealogy At The Indiana State Library," on Thursday, July 14 from 5:30 to 6:30 pm in the library's History Reference Room. You'll learn about the library's resources for researching people from Arkansas, Kentucky, Missouri, Oklahoma, Tennessee and Texas. This program is free and open to the public. A reminder - the early-bird deadline to register for the Federation of Genealogical Societies' September 7-10 conference in Springfield, Illinois is this Friday, July 1st. Register online before July 2nd or mail in your registration postmarked by July 1st in order to save $50 for full registration, or $24 for a single-day registration. Visit the conference blog at http://www.fgsconferenceblog.org/ for all the latest updates. Purdue University Libraries has digitized the 1851-1917 issues of Indiana Farmer, a weekly publication that gives a glimpse into the daily life of Hoosiers and agriculture. Articles include the first Indiana State Fair that was held. The Indiana State Library in Indianapolis will hold a program, "Maps in Genealogy," on Tuesday, July 12 from 10 to 11 am in the library's History Reference Room. You'll learn about the various kinds of maps that can help you in your geenalogy research, including plat maps, county maps and Sanborn Fire Insurance Company maps. This program is free and open to the public. These databases were submitted by Penny Baughman North and Jim Cox and are free to the public. The Indiana Genealogical Society now has 602 databases in the Members Only area, covering all 92 Indiana counties. This database is about Indiana residents who participated in Civilian Military Training Camps (CMTC), a program that was initiated in the aftermath of World War I. It was submitted by Ron Darrah and is a premium database, accessible only to IGS members. The Indiana Genealogical Society now has 597 databases in the Members Only area. They cover all 92 Indiana counties and total almost 500,000 records. Was this church absorbed by another church, or did it change names at some point? Karen is looking for someone who knows of the church, so this photo can find a good home. If you can help, please contact Karen Seibert directly - ash689@aol.com - or post a comment on her Indiana genealogy blog. Is this building in Delaware County? If you can help identify the building, the time frame or the man and woman, please contact Karen Seibert directly - ash689@aol.com - or post a comment on her Indiana genealogy blog. Colonel John Wheeler, a Civil War soldier of the Indiana 20th Infantry who died on July 2, 1863 during the Battle of Gettysburg, will be honored with a ceremony at his gravesite on Saturday, July 2 at 10 am at Historic Maplewood Cemetery in Crown Point, Indiana. The public is invited to attend. This ceremony is part of an effort to remember and honor the memory of Civil War soldiers & veterans. A local group of citizens is placing G.A.R. (Grand Army of the Republic) flag holders and flags on Civil War graves throughout Lake County and Porter County. As funds are raised, additional markers will be placed. Headstone repair and replacement by trained volunteers is also planned. I'm look for more information on my great grandfather, Thomas WARNER. All I know about him is he was born in Indiana around 1874. He married a Della WALKER in 1901 in Danville, Illinois. And he Died March 13, 1913. Any help would be greatly appreciated. I am searching for the fate of an Indiana Civil War Union soldier, Private Emanuel DESTIGNER, born 1843, Ohio. His name gets butchered in rosters; spelled as DESTIGNER, DESTAZER, DESTIGER, maybe even DESBYNE. A reliable family member (a judge) wrote, in 1888, that Emanuel was with Sherman's army, and was killed by Wade Hampton's men near Raleigh, NC while foraging; his body was never recovered. I there anyone that can help confirm this? Nancy ADAMS was Clinton's 3rd wife and they had two daughters: Barbara & Ida Mae. Ida Mae (Clark) Tohill was my grandmother-I have many cousins living in the Robinson, IL. area and no one knows of or where our great grandparents are buried. My uncle(who is 99 yrs. old and the only living grandchild) said that he never saw his grandfather, Clinton, and that his mother Ida Mae didn't talk about either her mother or father. The only documents which I have found have been marriage certificates for Clinton and all 3 of his wives-no death certificates or burial knowledge. Any info would so greatly be appreciated. The baby Milicent and Mary Elizabeth CARNES died Feb 2 1921 the family was living in Anderson,Madison, IN in 1920, my mother who passed away in 1989 said that when she was 8 years old her mother and baby sister died and had to be burried in a paupers grave. I am interested in any burial information available. I am trying to find any information about Jeremiah and his birth family that I can. I have him in the 1850 Washington, Preble Co. OH census living in Julia Gentle's household along with Mary COTTY. By 1860 his, wife Mary and son Horace are in Jackson, Hamilton Co., IN. I have no leads at all on parents or siblings. All that I know of him is typed above. I have his death certificate and picture of his headstone which my grandma visited and photographed. His date of birth was derived from headstone which reads: Jerry G. PARKER, Died Aug. 7, 1863 age 32 y, 8m, 7d. I found an application and return of marriage for the couple, proving their marriage date. Searching for Mary Ellen WARD and her parents and siblings. Mary Ellen (1880 Fed Census for Denison Twp, Lawrence, IL) born abt. 1853 in Indiana (same census reports both parents also born in IN) Mary Ellen married Harvey Liddle SMITH, on or about 20 Feb 1873 in Pike Co., IN, according to Ancestry.com Indiana Marriage Collection 'Grooms by Ruth M. Slevin Opal Phillips Record Book 5, page 534. 150 Vista Del Mar St. I am searching for the whereabouts of my grand-uncle, Oswald Samuel TOUNSLEY, that disappeared on or after 22 August 1911, on a road trip from Tampa to Chicago. He left New Albany, Floyd, IN on 22 August 1911 and was never heard from again. Please...any help you can give would be greatly appreciated. My maternal grandmother was his sister. Joan Hostetler of Heritage Photo and Research Services will lead a workshop, "Preserving Your Family Photographs," on Thursday, June 23 from 6:30 to 8:30 pm at the Pierceton and Washington Township Library (101 W. Catholic St., Pierceton, IN) in Kosciusko County. Participants will learn how to identify, date, organize, and preserve their family photographs - everything from tintypes to digital images. You are also encouraged to bring your mystery or problem photographs for a show and tell session. The workshop is free but space is limited, so please register: e-mail heritagephotoservices@gmail.com or phone (574) 594-5474. This database was submitted by Tina Eiswerth Lyons and is free to the public. The Indiana Genealogical Society now has 596 databases in the Members Only area, covering all 92 Indiana counties. The Indiana Genealogical Society has extended the deadline to participate in its War of 1812 $10,000 Matching Challenge. Donors can now take full advantage of Ancestry.com's recent announcement that they will match any donation that is made to the Federation of Genealogical Societies' campaign to digitize the War of 1812 pension files at the National Archives and make them available online for free. Because the Indiana Genealogical Society will MATCH any donation made before to August 31, 2011 (up to the first $10,000), and Ancestry.com is matching what IGS contributes to FGS, your money will actually be QUADRUPLED by the time it reaches FGS - a $25 donation to IGS will end up as $100 when received by FGS. Thank you to the Elkhart County Genealogical Society, which is among those who have taken advantage of this fact by donating an additional $100 - meaning 800 more pages will be digitized as a result! The Sons of the American Revolution Genealogical Research Library in Louisville, Kentucky will hold a seminar, "Soldiers' Stories: Early War Pension Records," on Saturday, July 9 from 9:30 to 10:30 am. The seminar, which will be presented by Susan Covey, will focus on pension records for soldiers from 1775 through 1902 (including the Revolutionary War, War of 1812, the various Indian wars of the 1800’s, the Mexican War, Civil War and the Spanish-American War). This is a free seminar and no registration is required. Attendees will also receive free admission to the library. For more information, please visit their website, or contact Rae Ann Sauer - e-mail rsauer@sar.org; phone (502) 588-6130. The Indiana Genealogical Society congratulates the Allen County Genealogical Society of Indiana, which celebrated its 35th anniversary with a dinner on June 8th. ACGSI presented Linda Churchward of Fort Wayne with their "Genie Award" for her outstanding volunteer work and they also donated a new high-tech scanner to the Genealogy Center of the Allen County Public Library. The Allen County Genealogical Society was the first local society to affiliate with the Indiana Genealogical Society, becoming a chapter in April 1989. This database was submitted by Ron Darrah. It is a premium database, accessible only to IGS members. The Indiana Genealogical Society now has 595 databases in the Members Only area. They cover all 92 Indiana counties and total almost 500,000 records. The Merrillville/Ross Township Historical Society in Lake County will meet on Sunday, June 26 at 1 pm at the Merrillville/Ross Township Museum (13 W. 73rd Ave., Merrillville IN 46410). "Well Done, Indiana—Tales of the Tragedies & Triumphs of Indiana in the Civil War," a documentary from the Indiana Historical Society that highlights some of Indiana's contributions to the Civil War, will be shown. The meeting is free and open to the public. The Indiana Genealogical Society now has 594 databases in the Members Only area, covering all 92 Indiana counties. Harold Henderson of LaPorte is the Indiana County Genealogist for LaPorte County. He is a professional genealogist, a published author, and has his own blog, Midwestern Microhistory. A member of the La Porte County Historical Society and the Northwest Indiana Genealogical Society, and Secretary of the La Porte County, Indiana Genealogical Society, Harold is also on the Board of the Association of Professional Genealogists. He also volunteers at the La Porte Clerk’s office to help other genealogists with their research, along with indexing La Porte County records. Dian Moore of Crawfordsville is the Indiana County Genealogist for Montgomery County. Dian has held the position of Local History Librarian for the Crawfordsville District Public Library and she is past president of the Genealogy Club of Montgomery County. Dian is also doing some Montgomery County indexing projects. Margaret B. Champion of Greencastle is the Indiana County Genealogist for Putnam County. A professional genealogist, she has been running Maggie’s Genealogy Service since 2005. Margaret indexes records for FamilySearch and works with the ProGen Study Group. She also belongs to the Association of Professional Genealogists, National Genealogical Society, the Daughters of the American Revolution, the Ohio Genealogical Society and the Indiana Genealogical Society. The Indiana Genealogical Society has added the June 2011 issue of Indiana Genealogist, the society's quarterly publication, to the IGS Records section of Members Only. This issue, the first under new editor Rachel Popma, includes Part 2 of a listing of Indiana's Civil War veterans who became GAR members in Colorado and Wyoming, as well as a second installment of coroner inquest reports in Decatur County, and a how-to article on how to set up eBay to automatically search for genealogy items. As in every issue, there are also brief items from every region of the state. The Tippecanoe County Area Genealogy Society (TIPCOA) will hold a 4-week series of Beginning Genealogy Classes from 7 to 9 pm on July 6, 13, 20 & 27 at the Bethany Presbyterian Church (3305 Longlois Dr., Lafayette IN 47904). Topics will include: filling out charts and using research forms; census records & using family tree software; vital records and cemetery/burial records; online resources (maps, boundaries and migration routes). Registration for the 4-week series is $20, and includes a trip to the Alameda McCollough Research Library. Make your checks payable to TIPCOA (with "workshop" on the memo line) and send, along with your contact information, to: TIPCOA, P.O. Box 2464, West Lafayette, IN 47996. Questions should be directed to TIPCOA president Barb Kirkpatrick - bjk31441@hotmail.com. The Southern Indiana Genealogical Society will meet on July 7 at 7 pm in the Strassweg Auditorium of the New Albany-Floyd County Library (180 W. Spring St., New Albany, Indiana). Curtis Peters, Board Chair of Friends of the New Albany Fire Museum, Inc., will speak about the museum and the history of local firefighting. He will report on the efforts of the museum to purchase a vintage collection of fire engines, equipment, and memorabilia that is considered one of the top five collections in the United States. The collection includes seven hand-pulled pumps and engines. Among them are a colonial hand engine from 1756, the very first chemical fire engine in the United States, and two horse-drawn steam fire engines. The meeting is free and open to the public. The Hamilton East Public Library in Noblesville will hold a free workshop, "Using Footnote.com and American Ancestors Databases," on Wednesday, June 29 from 9:30 am to noon in the library's computer training lab. In this hands-on workshop, you'll learn how to search for your ancestors using the databases on Foonote.com and American Ancestors. Bring information about your ancestors, as you'll have time at the end of the workshop to work on your research. Registration is required - register through their website, or by calling (317) 776-6939. The Allen County-Fort Wayne Historical Society will celebrate their 90th anniversary on Tuesday, June 21 from 5:30 to 7:30 pm with a special dinner at their History Center (302 East Berry Street, Fort Wayne IN). Judge William Lee will be master of ceremonies and local historian and genealogist John Beatty will speak about Fort Wayne in the early years of the 20th century leading up to 1921, when the society was founded. Tickets to the dinner are $45. They will also celebrate a 90th Anniversary Open House with free admission to their museum the week of June 13-18. Museum hours are 10 am to 5 pm Monday-Friday and noon to 5 pm on Saturday. 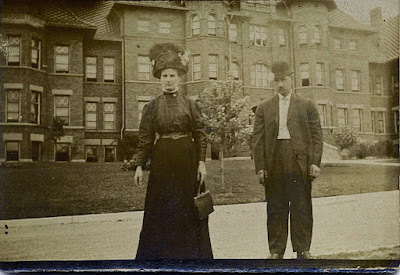 [NOTE: Indiana State Normal School later became Indiana State University]. [NOTE: This database contains information on the Class of 1937 and the Class of 1938 only]. The Indiana Genealogical Society now has 593 databases in the Members Only area, covering all 92 Indiana counties. The Indiana Genealogical Society has added the June 2011 issue of IGS Newsletter, the society's bi-monthly newsletter, to the IGS Records section of Members Only. This issue is supersized to include coverage of our annual conference, as well as many news items from around the state.